Stress is part of everyday life. In fact, sometimes it's normal and not all bad. It can actually motivate people to prepare or perform. For example, stress may boost performance when you take a test. It can even be life-saving in some situations. However, stress can negatively affect your health. It can take a toll on your physical and mental well-being. If stress becomes chronic — meaning it lasts for too long — it starts to affect many systems in your body, such as your immune system. People under chronic stress tend to be more vulnerable to illnesses like the flu or common cold. Over time, continued strain on your body from routine stress may lead to serious health problems, such as heart disease, high blood pressure and diabetes. Because no one’s life is completely stress-free, it is important to know how to manage stress. Read the following tips to learn how to cope with stress. One way to manage stress is to change your mindset. Try to maintain a positive attitude by replacing negative thoughts with positive ones. For example, instead of thinking, “I can’t do this,” try thinking, “I will do the best I can.” Try to accept that you cannot control everything. Instead, decide what must get done versus what can wait. Although it may be difficult, learn to say no to new tasks, especially if they will make you feel overwhelmed. Learn what triggers your stress. Try writing in a journal when you are feeling stressed and then looking for a pattern. This can help you avoid stressors in the future. For example, if you have determined that a health problem is stressing you out, speak with your health care provider. He or she can help you better manage your health and, as a result, reduce your stress. By reducing your stress, you are, in turn, helping to prevent the negative toll stress can have on your health — a win-win. Make sure you are eating well-balanced meals, getting enough sleep and exercising daily. Hunger can worsen stressful situations. Do not skip meals, and always have healthy, energy-boosting snacks on hand. A lack of sleep can also compound stress. Try to get at least seven to eight hours of sleep per night so your body and mind are well-rested. Also, try to limit alcohol and caffeine intake. These substances may aggravate stress or anxiety. Instead, try drinking more water. Try a relaxing activity like meditation, yoga, tai chi or another gentle exercise. Try to schedule regular times for these activities. When you feel stressed, try taking slow, deep breaths or slowly counting to 10. If this does not help, try taking a quick timeout to meditate or listen to music. Stepping back from problems and performing these relaxation techniques may clear your head. Stay connected with people you can count on for support. Ask friends and family members for help. Speak with a health care professional like a physician or therapist if you need professional help. Everyone faces stress occasionally, but it can be managed. For more tips on how to manage stress, speak with your local pharmacist. 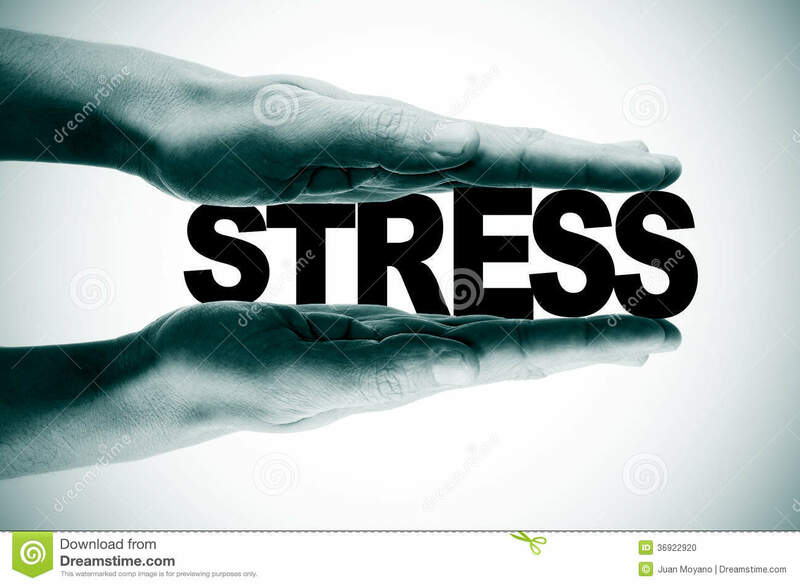 National Institute of Mental Health, "5 Things You Should Know About Stress"
Anxiety and Depression Association of America, "Tips to Manage Anxiety and Stress"
American Heart Association, "3 Tips to Manage Stress"